26 results found in Equestrian business adverts, breaking, training, schooling, wheelwright, snapshackles, carriage painting, harness, carriage driving lessons. Advertise your business for only £6 a month. Clarke Equine Services, equestrian construction specialists. We are specialist in the construction of all weather ménages. We have been established for 20 years and have many satisfied customers. Cover all areas of the UK. Smith Park Homes, bespoke chalets built to your needs. We have been in the business for many years, we are the only ones to build the outstanding dome entrance. 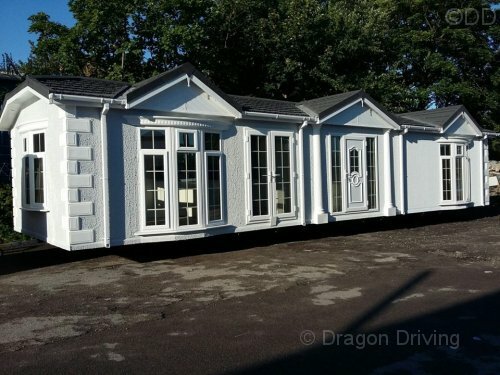 We have a range of sizes to choose from, we build from big to small, from homes to dolly houses. Sizes range from 8x10 to 14x50. Orders are now being taken, order now to avoid disappointment. Give George a call. White flat rope parachute halters, double the thickness of Chinese imports, made with traditional parachute rope, made in UK. Sewn knots, over 6ft lead rein, fully adjustable to fit pony to full size. Harness sets individually made for your horse or pony, Gig Harness with brass or stainless steel fittings.This is a very smart traditional style every day harness. Biothane classic harness, this is not leather harness however still has the look and strength of leather with very low maintenance. Marathon harness if you are looking for a more heavier weight harness, full collars and other harnesses available, choice of traditional or quick release tugs, very good prices. 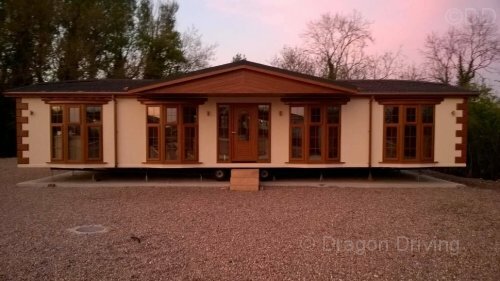 Chalet, static caravan and mobile home transport. We are static caravan, chalet and mobile home transport company that specialises in transportation and siting of all types of mobile homes. We cover the whole of the UK and have a wide range of low loaders to suit all your needs. For any questions or for a free quote please call. 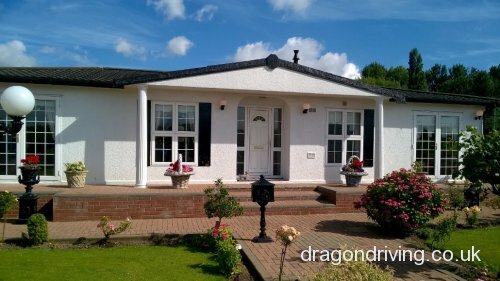 We are a static caravan, chalet and mobile home transport company, that specialise in transportation and siting of all types of mobile homes. We cover the whole of the UK, and have a wide range of low loaders to suit all your needs. For any questions or a for a free quote please call. J D Caravans mobile home transport for any of your transport needs. Siting and moving specialist. Fully insured and experienced, any size any time, call Jimmy Dean. Give us a call for any help or advice during office hours 9am to 4pm as we are available when you need to contact us unlike some other sellers who work out of garages and do not have the commitment to their customers and cannot provide the help, advice and excellent service we provide here at George James Harness. Please do visit our website or come and see our show room where there is lots to see. Diddy Dasher Shetland cart, suitable for quick hitch and conventional harness, will fit Shetland 33-36 inches. Seats 2 people, comes with swingle tree and whip holder. £375 + Shipping. Harness not included. Dasher harness, plastic quick hitch, to fit 33-36 inch approx. Available in mid blue, white and yellow. £150 + p&p. Cart not included. Please see a selection of our carriage driving bits and accessories. For more information please contact 02392 253850 or view our website www.georgejamesharness.com T&Cs apply. Hillam are manufacturers of two and four wheeled vehicles with associated accessories. We provide a comprehensive range of vehicles to suit your competence and experience. Our two wheeled vehicles are balanced and adjustable to match the size and weight of your horse, from Shetland pony to Shire horse. Prices are from £480 which will get you started in driving. We are a main UK Agent for Ideal harness and we stock leather webbing harnesses. Ford Transit engines supplied and fitted. Fitting time 2 days. Genuine low mileage engines. 2012 to 2017. 2.2 front and back wheel drive. If your van isn't driving we can collect. All engines come with warranty, VAT invoice available. Your Call Admin Ltd, personal, business, & office services searching, comparing, & obtaining of the following. Car, van, caravan and trailer insurance, home and travel insurance, new and young drivers insurance, public liability insurance. Company formation, domain name & registration, holiday & flight booking, bespoke email address purchase, booking & preparation of cscs test. Park Lane 2005 3 bedroom static caravan, tiled roof, double glazing and central heating. This caravan has been wheelchair adapted. This caravan is available for rent, DHSS welcome or for sale at £9500. Transport can be arranged. Alberry Upholsterers, coach trimming, cushions, patent leather on shafts. All work considered. Please call for a quotation. Sunway Trade Ltd, teak garden furniture importers. Containers arriving every week. Warehouse open 7 days. Deliveries throughout UK, Scotland & Europe. We offer credit card payment services and accept cheques. Vat invoice supplied. Call Stephen Mason or whats app any time. Carriage Driving is a hobby/sport the whole family can enjoy whatever your driving ambition is, just a plod down the road for pleasure, showing or other forms of competitive driving. Come and have a go at carriage driving at our centre with one of our horses, whether you're a total beginner or a novice we cater for all, we teach using single horses and offer pair driving. We offer individual one-2-one lessons which offers the best opportunity for the best achievement success, 3 hour courses, group introductions, fun drives, long reining sessions and clinics. New European Ruby, 34x13, 2 bed, bathroom with shower. 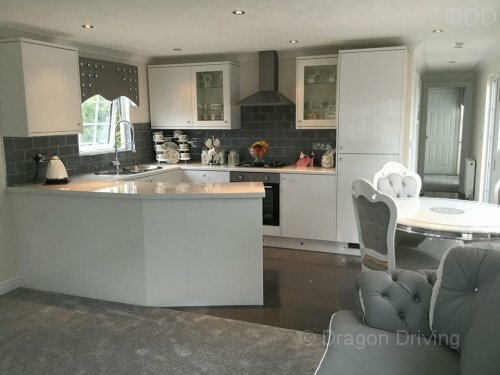 Open plan lounge and kitchen. The best built mobiles in the UK. Full winter pack. Georgian bar windows, drop windows, 2 peaks. There is nothing on the UK market to beat them and with us you know you will get your mobile and not loose your money. We have been trading for over 25 years. This one is a cancelled order, please ring for price. Very well proven stud dog located in Dartford, Kent. KC registered, PRA clear in conjunction with optigen and the Kennel Club. Apricot Miniature Poodle. All breeds welcome. He is regularly tested and sperm counted. Two mating offered 48 hours apart. Fully registered 18hh 3 year old black Shire stallion, 4 white legs. 3m long x 1m wide, £10 each. Other sizes cut to length. Delivery anywhere. BHS Castration & Healthcare clinic, Ruthin, North Wales, Wednesday 1st May 2019, 9am until 4pm. Castrations, passporting, microchipping, horse weighbridge advice and support. This is not an open event, you must be booked on to attend. Please call for more info. Other dates: Durham 13th March, Cardiff 20th March, Dorset 17th April. Contact Gemma or Nicola. 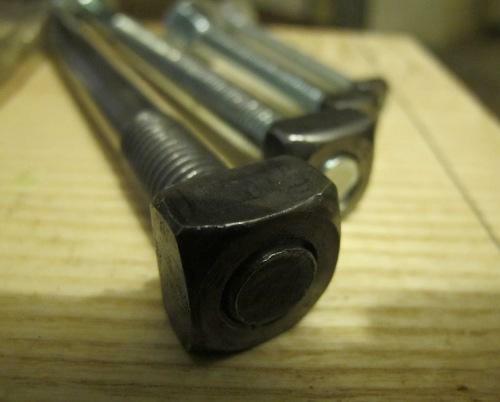 Square nuts for carriage builders and restorers. Add a touch of class to your work with these square nuts. 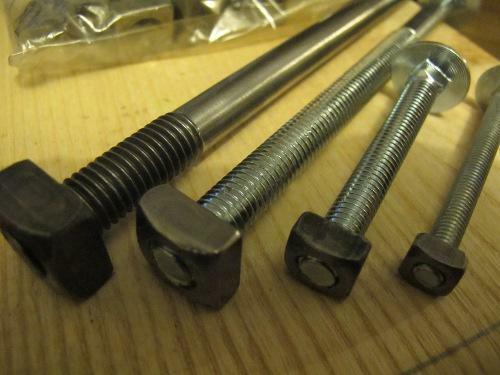 These nuts are like the old Whitworth nuts but have a metric thread so you can use easily available metric coach bolts with them. These are very hard to find. My nuts are quality German made, not cheap Chinese. You can find some on ebay but they are twice the price of mine and you can't get m12. I have invested 100's of pounds in these so I can sell them at a sensible price. Nothing looks worse than hex nuts on a Victorian carriage or that lovely dray, flat cart or wagon that you have spent £1000's building. Prices: M6 x 20=£2 M8x20=£4 M10x20=£6 M12x20=£8 Also M16 plus p+p.